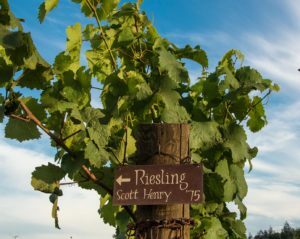 “It’s the underdog of Oregon but it’s our very favorite wine to make here at Brooks… RIESLING! We make over 20 different Rieslings every year because we love it, because it’s diverse, because it’s food friendly, and because it can express terroir. We make every style from bone dry to dessert wine and everything in between so there’s something for everyone. Knowing that, we’ll explore mostly dry Rieslings from the classic and New World regions of the world in this class and I think you’ll be surprised at just how dang delicious they are”!